Martinez, Maria - Bowl with Cloud and Lightning Designs (1920's), "Marie"
This is a classic bowl by Maria Martinez from 1920-25. It was made and polished by Maria Martinez and painted by her husband, Julian. These early pieces are signed, “Marie”, although Julian was painting the designs. It was not until around 1925 that they began to sign both names to the pottery. This bowl has a slightly rounded shoulder and the design is painted in the area between the shoulder and the neck. The pattern is a cloud and lightning design. 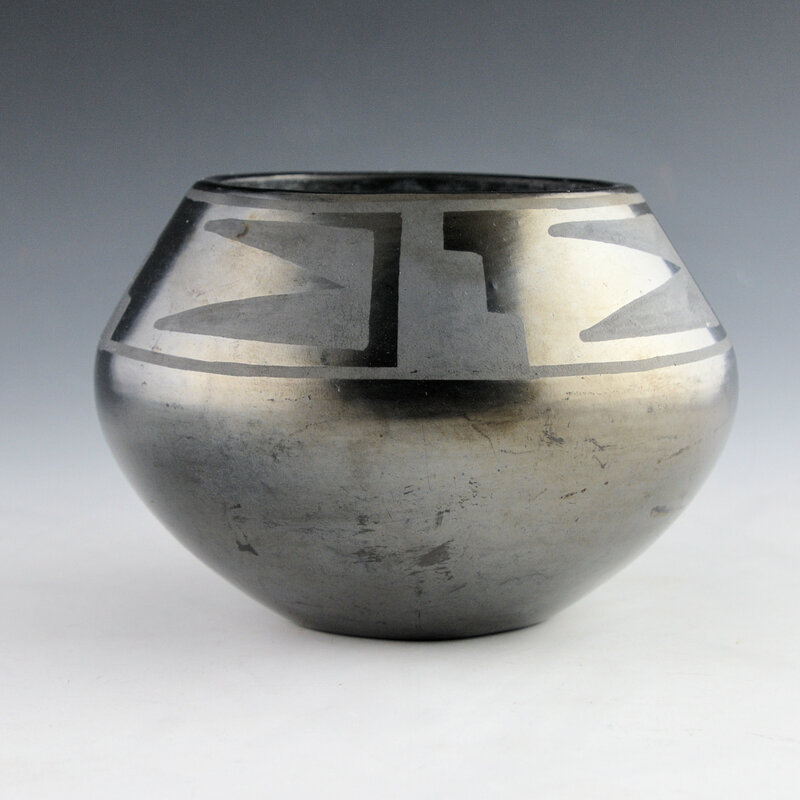 The bowl was highly fired to create a near gunmetal (metallic) appearance. The gunmetal color achieved on these early pieces was from the heat of the firing. The bowl is in very good condition with no chips, cracks, restoration or repair. It is signed on the bottom in the clay, “Marie”. To learn more about Maria’s signatures, click here.